Don and I have communication issues. Sometimes I say things and he doesn’t hear me, and other times he says things, and I don’t understand what he said, so I’ll ask him to repeat it – sometimes multiple times. It’s funny sometimes the things I think I hear him say which are so far from what he actually said! The issue is we both have one ear that doesn’t hear as well as the other. For him, it’s his left ear, and for me it’s my right ear. So when we position ourselves to sit near each other, we take that into consideration. He sits on my left, and I on his right. Then I can even hear his whispers. But it’s a matter of positioning. Picture Elijah on the Mountain, trembling in fear of capture by Jezebel and her army. God tells him to stand on the mountain before Him, but instead, he’s hiding inside a cave. He doesn’t come out. What God does next we should all take notice of. First, God sends a strong wind to break the mountains into rocks. If you want to get a man out of a cave, I would suggest that falling rocks, the mountain literally falling apart, would be a really good way. Secondly, God sent an earthquake. An earthquake would shake that mountain and even the ground under Elijah’s feet! That would make me abandon all the comfort of that cave for clear ground (or so I would hope!). Sometimes life can beat us down so far that we don’t even see how God could get us through it. We can lose faith in the fact that God’s will toward us is always for our good, as His children. I think we’ve all been there, at a point of complete desperation. We’ve been so far down in the pit that we cannot see God’s desire to pull us out. Yet, the next thing God does is so loving, and so full of His Holy Character! 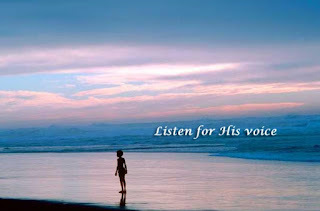 In what is described as a “still, small voice” God said “What are you doing here, Elijah?” God’s question wasn’t one out of ignorance as to how Elijah had gotten to his destination. God watched as he travelled to Beersheba after hearing Jezebel’s death threat. God even sent an Angel to feed him. Then God strengthened Elijah to travel to the mountain 40 days on that one meal. God knew he was there, and God knew why. God’s question was redundant. He was seeking communication with Elijah. Sometimes we can become like Elijah. We can get so lost in our own worries that we fail to pray. We fail to communicate with God. We can get so deeply into the cave that we create for ourselves, allowing our worries to consume us, that we don’t listen for God’s guidance. And yet, God will crash down everything around us just to draw us out, to cause us to come to Him and hear His whispers. 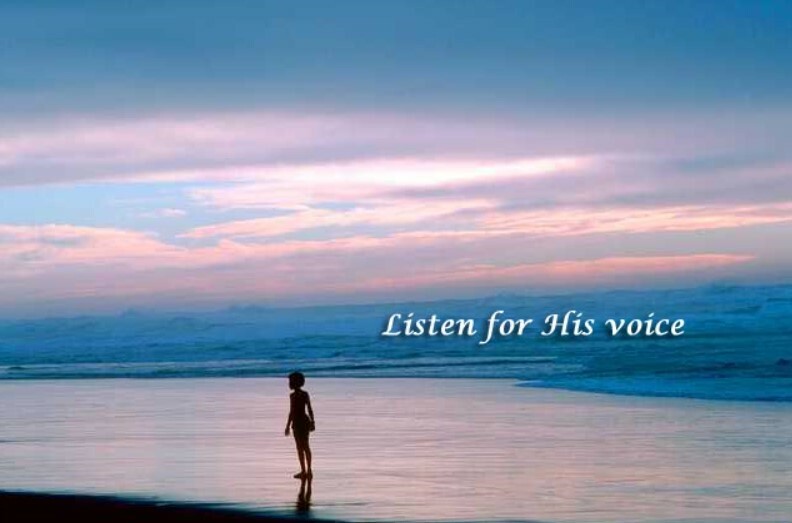 Just as I must position myself to hear Don, I have to position myself to hear God’s voice. The worries of the world and this troublesome life can flood into your mind and heart and drown out His still small voice. How do you move out of your cave? You go stand before God. That’s what Elijah did. Take time to remove yourself from the worries, abandon your dark cave, and seek out God. When you seek Him, you will find Him (Jeremiah 29:13). James 4:8 says that when we draw near to God, He will draw near to us.